Posted on February 3, 2018 by Emily Allbon. 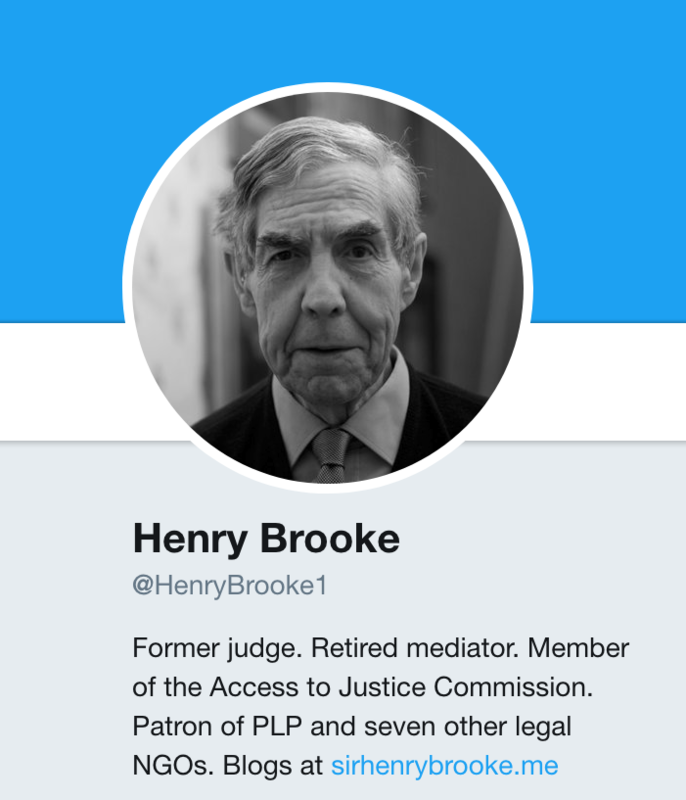 I’m sure many of you will have seen the vast tributes on Twitter this week, to Sir Henry Brooke, who retired in 2006 as a judge of the Court of Appeal. Sir Henry was an inspirational man who worked hard to improve access to the law in so many ways. His most recent work was as vice-chair of the Bach Commission on Access to Justice, and the speeches he gave around the report’s launch received wide acclaim. Diversity was another cause Sir Henry championed; chairing the Bar’s race relations committee and later becoming the first Chair of the Ethnic Minorities Advisory Committee of the Judicial Studies Board (now the Judicial College). He was patron of numerous legal charities, including Prisoners Abroad , Peace Brigades International, Public Law Project and Law for Life. Technology was another sphere in which Sir Henry made an impact – he chaired the Bar’s Computer Committee in 1985 and was President of the Society for Computers and Law for nine years. He was also Chairman and a founding trustee at BAILII (British and Irish Legal Information Institute) and was instrumental in the establishment of this great site, ensuring that judgments were available to all for free (not just to those lucky enough to have a Lexis or Westlaw subscription). For those of you wanting to learn more about this great man, read the interview with Legal Hackette (October 2015) or John van der Luit-Drummond for the Solicitors Journal, or one of the many pieces about him posted this week (The Times (£), the FT (£), Law Society Gazette, Legal Cheek ). His valedictory address on retiring can be found via BAILII. My purpose has never been to write complicated legal tracts – though I suppose I would still be capable of that, if I tried. Instead, it is to humanise the law – to explain complex issues as simply as I can, and to try and write about interesting things, whether in the immediate present or the distant past. It would be wonderful to think that some of the students reading this, or any of the posts honouring Sir Henry, might be driven to champion some of the important causes he fought for in his career. 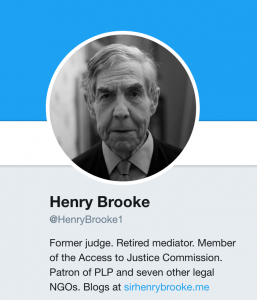 Writing about the law in an accessible way is one of these – if he can begin blogging so formidably in his late-70’s, what’s holding you back?